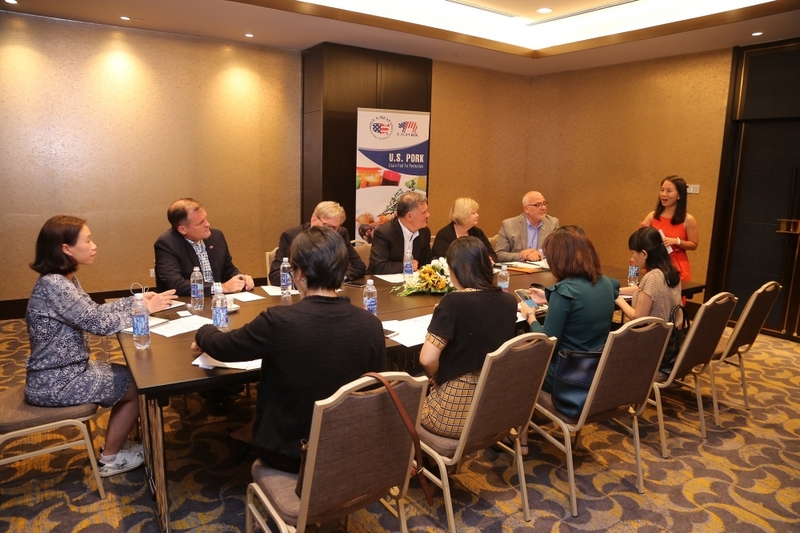 Key leaders of the U.S. pork industry, members of the National Pork Board’s International Marketing committee, have arrived in Vietnam. Their visit to Vietnam - a critical market for U.S. pork exports - is among the several stops on the U.S. pork organization’s ten-day Asia Immersion Mission Trip. The committee began its journey in Singapore and, in total, will make stops in Vietnam, Hong Kong and Macau. These key Asian markets are emerging destinations for U.S. pork and the committee will seek to understand consumer preferences and build relationships with buyers, influencers, retailers and other key stakeholders on their journey. Morris added that the National Pork Board’s international marketing strategy is to elevate the outreach and increase the number of direct opportunities to promote U.S. pork on a global basis. “Our time in Vietnam will be devoted to gathering the critical consumer insights we need to fully tap into the potential in these exciting, unique markets for U.S. pork, like Vietnam,” Morris said. In Vietnam in 2017, the U.S. exported over $11 million of fresh, chilled and/or frozen bone-in hams and shoulders to the country. Today, Vietnam is the second largest trading partner for U.S. pork products, only behind China/Hong Kong. Vietnam also imports pork bellies, prepared and preserved hams, and pork variety meats from the United States. “We need to understand the changing consumer and retail landscape in both destinations, share this insight with our industry partners here in the U.S., and deploy targeted marketing campaigns designed to connect with each country’s unique consumer,” said Morris.